Thanks so much for choosing Hill Country Dental Associates! We’re dental patients, too, and we know that choosing a dental home is not only an important decision—it’s also a very personal one. That’s why we’re working to ensure that when you, your family, and your friends come to our office, all of you not only receive excellent dentistry, but also have a great experience—the same kind of experience we would want and expect for ourselves. We hope you like what you find at Hill Country Dental Associates. If you do, we hope you’ll tell your friends and family about us—it’s the best compliment we can receive! 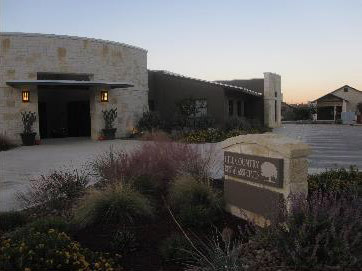 At Hill Country Dental Associates, we are focused on relationship-based preventative and comprehensive dentistry. With that in mind, your initial visit with us centers around a thorough baseline exam. During this appointment, your dentist will talk with you about any dental concerns you may have and about your current and long-term oral health goals. He or she will review your health history and gather information about your teeth, gums, jaw joints and bite. The doctor will also perform a cancer screening and evaluate your x-rays. All of this information will be used to determine what type of cleaning appointment is best for you and to develop a personalized game plan to address your oral health needs—whether it’s simply maintaining health through preventative exams and professional cleanings every six months or re-establishing health through more complex restorative procedures. Plan to arrive 10 to 15 minutes early for your new patient exam. Also, be sure to bring the items and information listed. 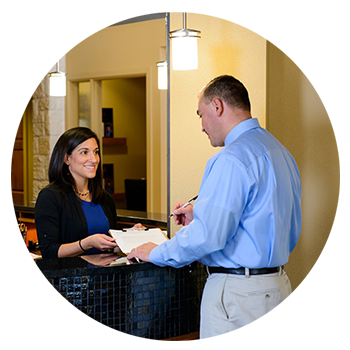 This will help our administrative team streamline your check-in. Note: Young adults and kids under the age of 18 are considered minors, so it’s important that parents accompany them to their appointments. We’ll also need to have the names of both parents and their best contact information. If one of the parents has insurance coverage for his or her child, we’ll need the parent’s policy information, too. Thanks for your help!